To log into your FTP account you will need three pieces of information. 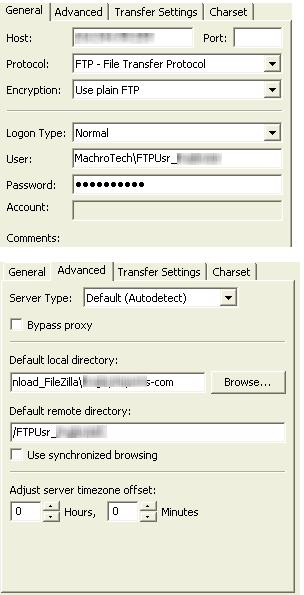 Note: There are different ways to configure FileZilla and several will work – the screenshot is just an example. Navigate to the /images/Storefront_System_Images folder. Locate the file you wish to replace (e.g., buy.gif) and replace it with your own version of the image (your customized version of buy.gif). The file name must be the same. Notes: It is recommended that you download the system image file first to a different location on your local computer so you will have the file in the event that it needs to be restored. If you upload images to the /Products/ folder, these will appear in Products > Image Manager. If you will be using the Image Manager, do not exceed 100 images per folder.